Today I’ve got an extra special treat to share! Well, it might be just ordinary special to most, but it is extra special to me. This Mother’s Day will be my first as a mom and not just a daughter. The prospect is both terrifying and so exciting! But I wanted to make sure thatI still honor the moms in my life. I mean, after all, who would I be without them? I have learned so much about how to love, how to be a mother, how to be a role model and a great citizen from my mom and others. 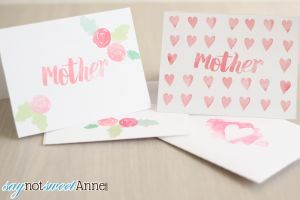 I’ve done plenty of Mom’s Day projects before, like My 3D Printable Mother’s Day Card, The Family Tree Art, and Mommy Bucks. Each one has its own style, and these cards are no different. 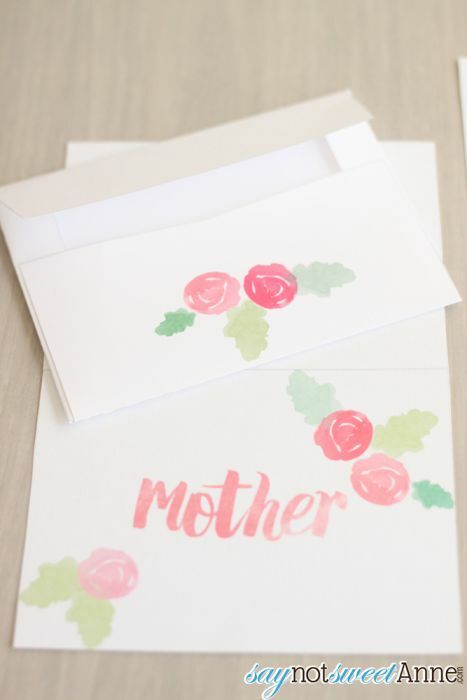 I went with a sophisticated water color motif and I am so giddy with how lovely they turned out! The envelopes have matching designs too, so each card feels like a coordinated set. 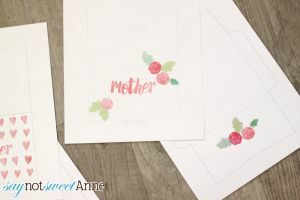 Making them is as easy as grabbing the Free Printable Cards and the Free Printable Envelopes and going to town. 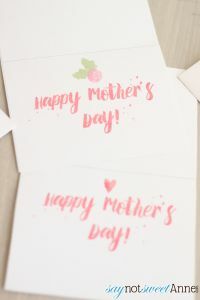 Download the Free Printable Cards and the Free Printable Envelopes. 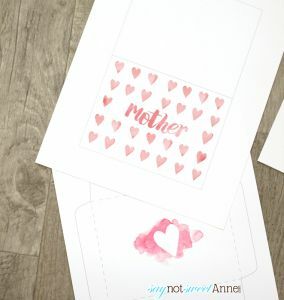 Open the cards, and print two-sided onto card stock. Open the envelope file and print single-sided onto regular printer paper. 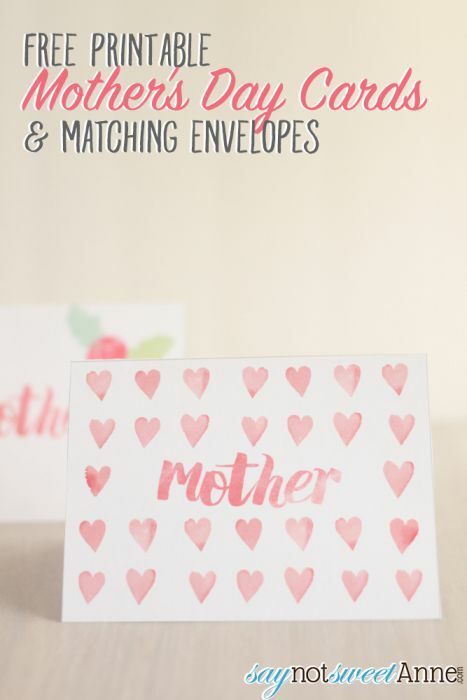 Cut out the envelopes on the solid line, and score/fold on the dotted line. Glue the edges together and let dry. Done! 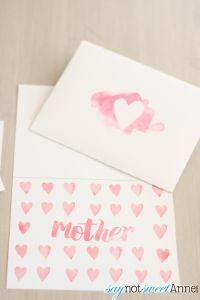 Present your lovely card to the best-mom-ever! ← SNICKERS®: Who am I when I am hungry?